January 19, 2016 (Source) — iSIGN Media Solutions Inc. (“iSIGN” or “Company”) (TSX-V: ISD) (OTC Pink: ISDSF), a leading provider of interactive mobile advertising solutions that serves brands, commercial locations, retailers and service providers throughout North America today announced that a purchase order has been received from its reseller We Build Apps LLC (“WBA”) for 500 Smart Antennas. Under the terms of this purchase order, WBA will issue payment for and take delivery of 100 Smart Antennas prior to the end of January, with the balance to be paid for and delivered in stages by no later than December 31, 2016. The value of this order is $257,500 US, which could increase should WBA purchase the required ancillary cabling and power sources from us, as opposed to alternate suppliers. 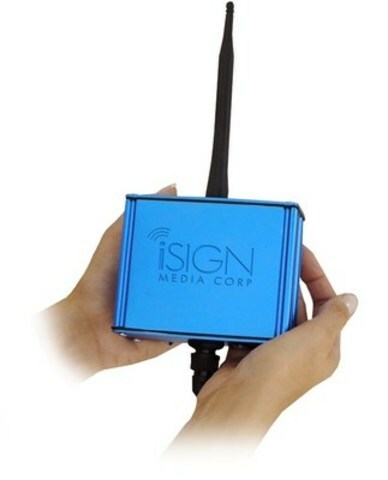 The order for 500 Smart Antennas with 100 units to be delivered immediately fulfills the conditions that iSIGN imposed for exclusivity for amusement parks, sports and convention centres in the State of Ohio, as well as land transportation companies nationally, including major courier companies and major airlines internationally. iSIGN’s as Lead Share Partner for Verizon, will be responsible for the reselling of wireless solutions for installations into WBA’s markets for their initiatives, as well as supporting WBA’s technical requirements. AllOver Media, LLC (“AOM”) will be responsible for third party advertising once Smart Antennas are deployed into the National Mobile Network (“NMN”). “Both iSIGN and We Build Apps look forward to having these units installed as quickly as possible and to the monthly data management fees that these units will generate,” added Mr. Romanov. © 2016 iSIGN Media Solutions Inc. All Rights Reserved. All other trademarks and trade names are the property of their respective owners.